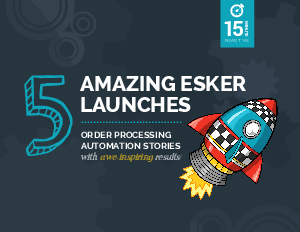 Discover the inspiring stories of five companies who successfully automated their manual order processing methods with Esker — and have the results to prove it. Esker has been referred to as a game-changer. Read the customer stories for yourself and envision your launch into optimized business processes. Download now!